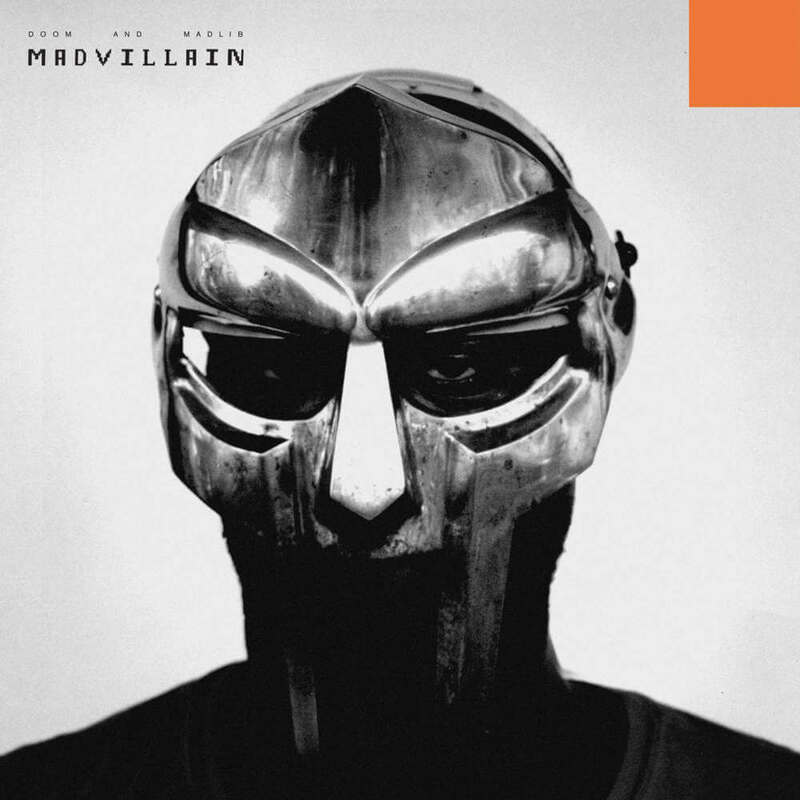 Madvillain’s (MF DOOM & Madlib) debut album. Release date: March 23, 2004. Madvillainy is the debut album Madvillain, a group consisting of MF Doom (MC) and Madlib (producer). It was released on March 23, 2004 on Stones Throw Records to widespread critical acclaim, scoring a 93 out of 100 on Metacritic. The album also achieved moderate commercial success, peaking at number 179 on the US Billboard 200, and attracted much attention from media outlets not usually covering hip hop music, including The New Yorker. Four videos were filmed for the album: “All Caps” (directed by James Reitano), “Rhinestone Cowboy” and “Accordion” (both directed by Andrew Gura), and “Shadows of Tomorrow” (directed by System D-128). “All Caps” and “Rhinestone Cowboy” appear on the DVD Stones Throw 101 along with a hidden easter egg video for “Shadows Of Tomorrow” as a hidden feature. An impromptu video for “Accordion” was filmed in 2004 but not released until 2008’s In Living the True Gods DVD. At least two tracks on Madvillainy (“Rhinestone Cowboy”, “Strange Ways”) were produced using a portable turntable, a cassette deck and a Boss SP303 sampler by Madlib in Brazil. The first music to be publicly debuted from Madvillainy was the song “America’s Most Blunted” which was played by Madlib at the Red Bull Music Academy in Brazil, November 2002.